Mondo Bizarro, 2012. 128 pages (English and Italian text). 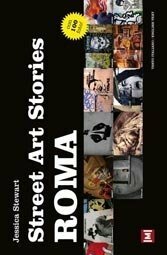 Stewart’s book offers a selection Rome’s most celebrated street artists through photography and text, and as such the book is a first, a slender, light-hearted introduction to the city’s street art scene that reflects the author’s personal experiences in the city (she got here in 2005). But Stewart likes words, sometimes to her detriment. The text here is in both English and Italian, and if Stewart has a shortcoming it’s that she often doesn’t distinguish well between presenting the artists she likes and musings about her own struggle to establish herself as a connoisseur. 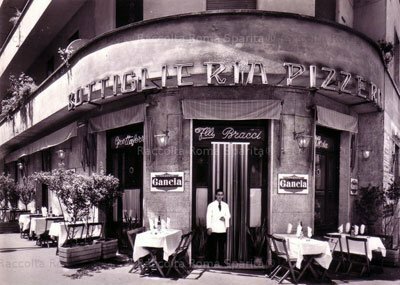 The narrative can be disjointed and her disdaining of classic methodology can make it seem as if there was nothing happening before she got to Rome. What you get in the end is the story of a young woman’s discovery of Rome’s secretive and light-shy underworld, illustrated by four years worth of photos. But while anecdotes about budding friendships with artists work well in a blog (and Stewart’s has won prizes), they don’t make a book. Next time around, someone should focus on the artists, because they deserve it.